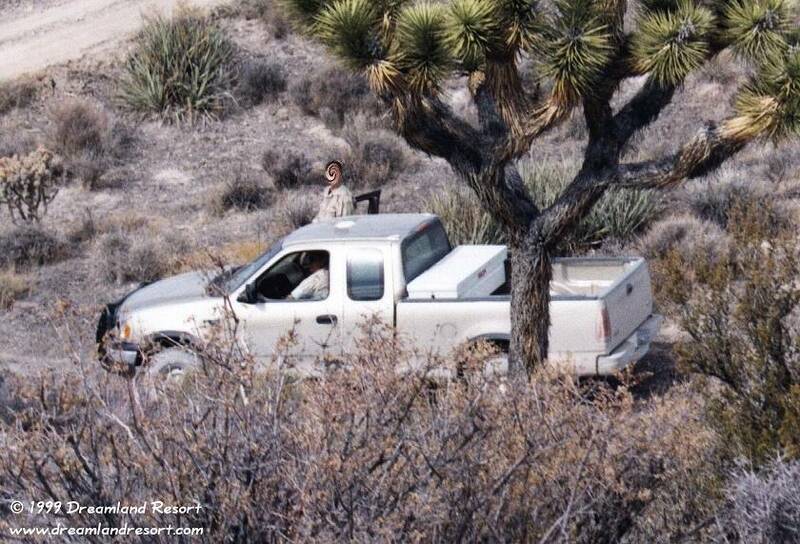 On 10/30/1999 we observed for the first time a brand new Ford F-150 pickup truck instead of the older white Jeep Cherokees, sitting on Cammo Hill. Its champagne golden color makes it blend in really well with the desert background. 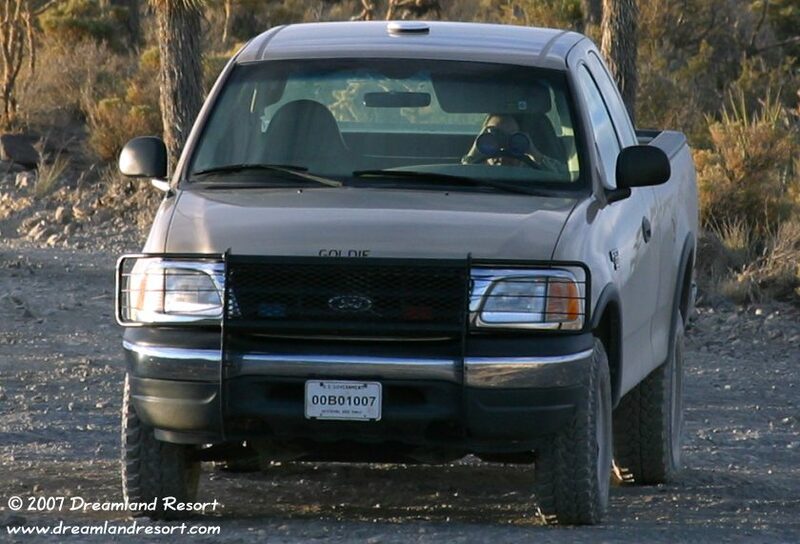 As you can see in photo #3 below the first new vehicle has the 1999 government license plate "99B01203". The F-150's gradually replaced the old Jeeps, but apparently they did not work out too well. 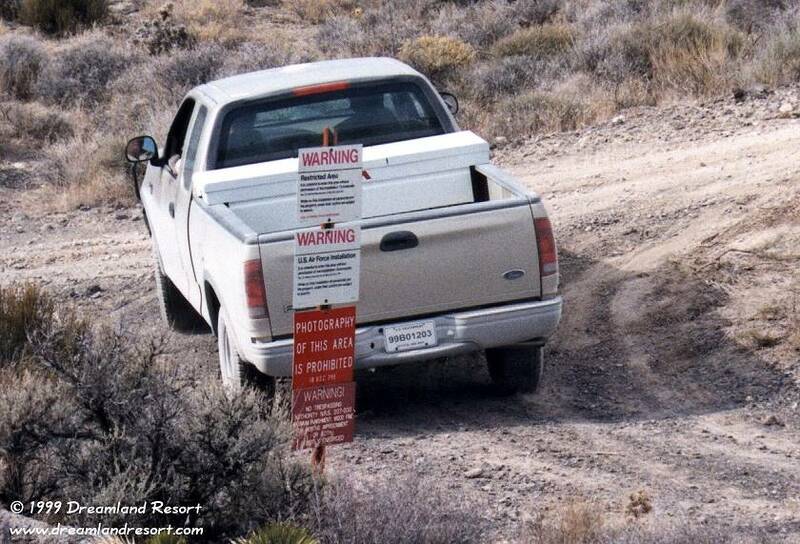 After only a couple of years they were again replaced by more rugged Chevy 2500 trucks, which are mostly used around the Area 51 perimeter today. Behold the next generation of Cammo vehicles. 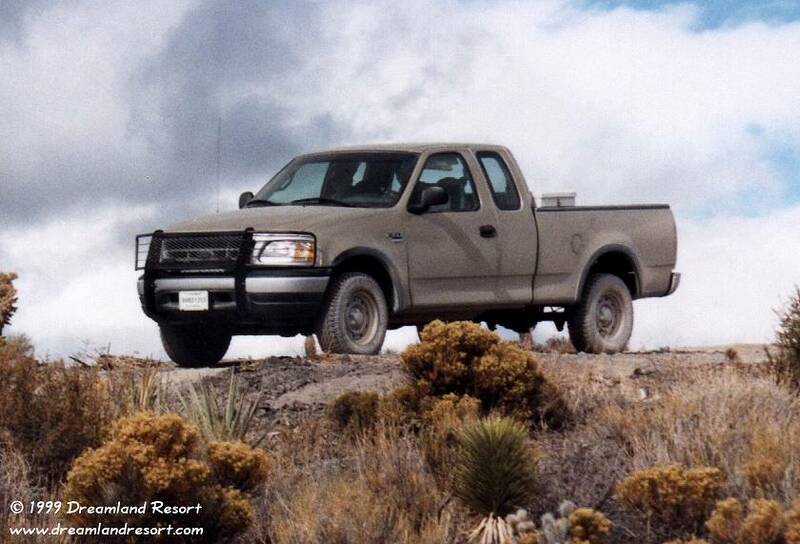 A brand-new 1999 Ford F-150 pickup truck. ...and take off, back into the safety of the restricted area. License plate: 99B01203, put in service on 10/30/1999.